Also known as false mitrewort and coolwort. 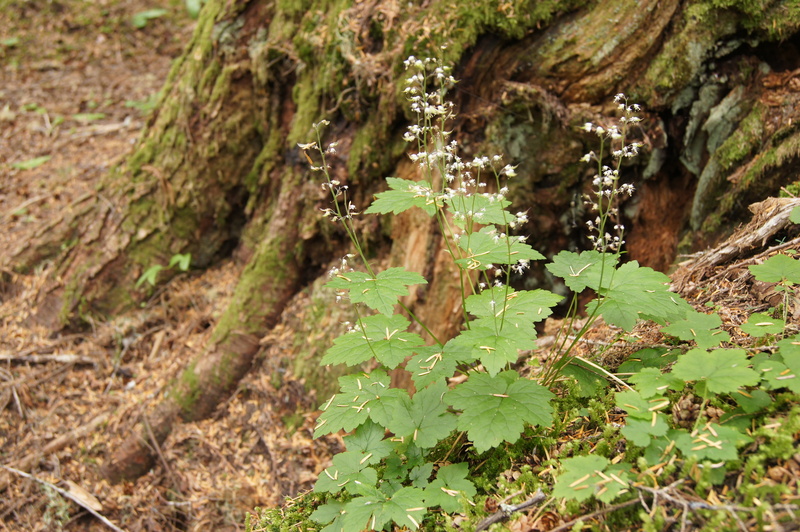 The closely related Tiarella trifoliata, is also known as foam flower, but its leaves have three separate parts, rather than three lobes. Foam flower has a very long season, and, like many raceme shaped plants, can sometimes have fruits, flowers and buds (from bottom to top) on a single stem. 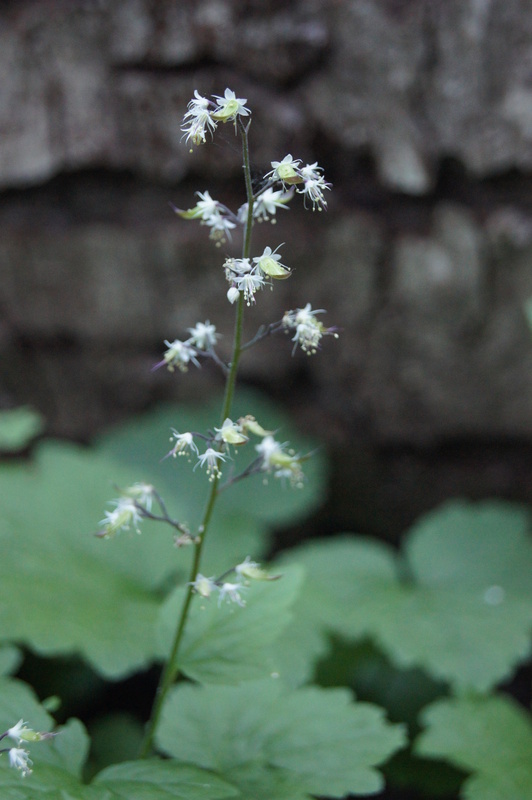 This was the most prevalent, and often the only, flower on the floor of the old-growth forest along the Fisher Creek valley. This entry was posted on October 15, 2012 by nwwildflowers. It was filed under All Northwest, July, Low Elevation, Mid Elevation, raceme, saxifrage, shaded forests, Unique to Northwest, Washington, white and was tagged with false mitrewort, fisher creek, flower, North Cascades National Park, Wildflowers. Pictures of foam flowers in mass have always attracted me. Some years ago I tried to grow them here in our shady yard in Indiana without success. Think they lacked moisture as the summer went on. Maybe the Cascades supply this need.